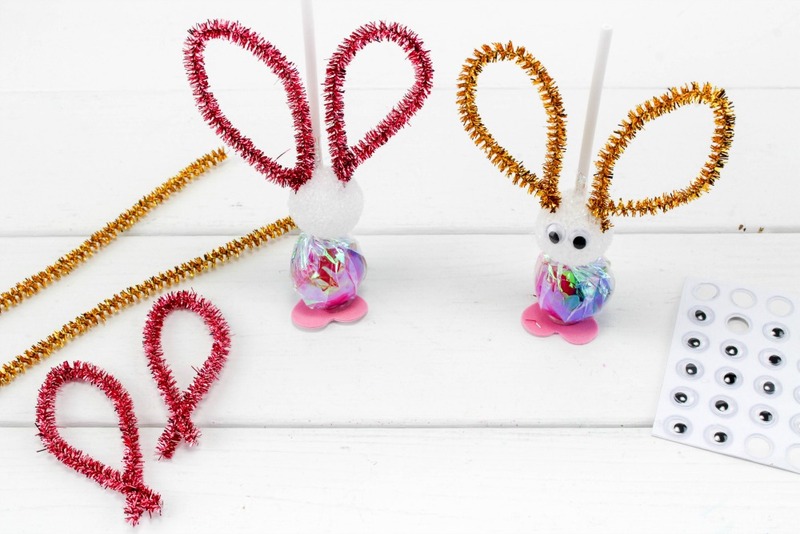 Hop, hop it’s time to make Easter Bunny Sucker crafts. 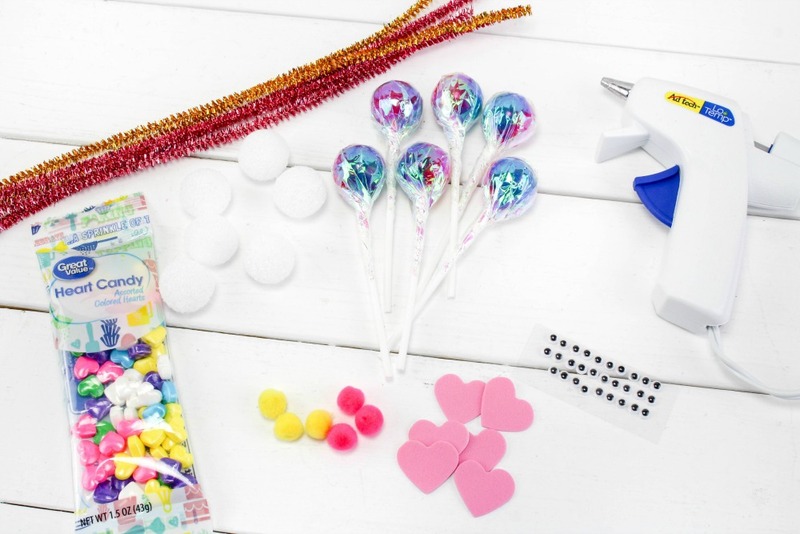 Are you trying to find a cute project to do with your kids? 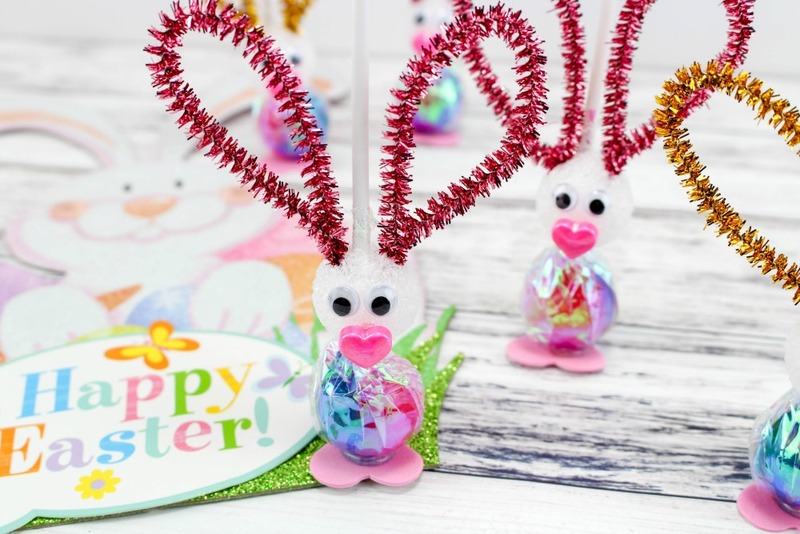 Maybe you want to surprise the kids and make them while they are at school and put them in their Easter basket! Or a great treat to set out on the Easter table. But I think the best idea is to make them with your kids for all their friends. They’re super cute, and the kids will indeed enjoy them. 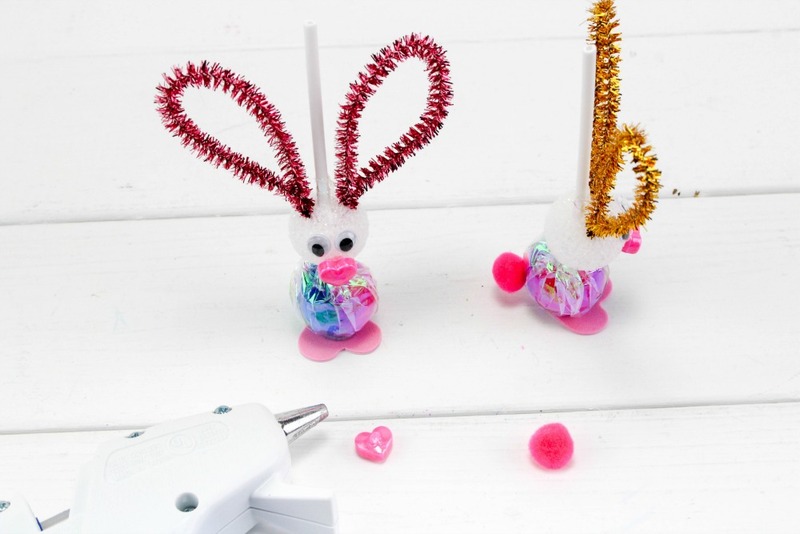 Are you ready to make some Easter Bunny Sucker crafts? Remember you can get pretty much all the supplies at the dollar store. 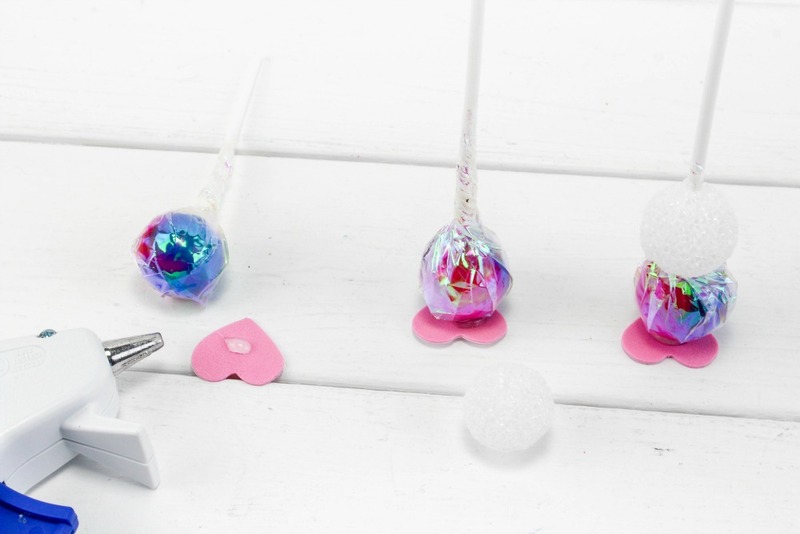 First, put a dot of hot glue on the foam hearts and stick the top of the sucker to each one. The suckers will now be standing upside down on little pink feet. Take a foam ball and press down through the center of it onto the sucker stick, all the way until it touches the sucker. Repeat this for the other five. This will be the bunny head. Cut all the pipe cleaners in half. Bend each half into an oval shape and twist the ends together at the bottom. You will have 12 bunny ears now. These will easily push into the top of the foam heads. Push 2 ears just a little bit into the top of each bunny head. Stick 2 eyes on each bunny head and glue a pink heart on each one right under the eyes for the little nose/mouth. Glue a pom on the back of each sucker towards the bottom for the bunny tail. 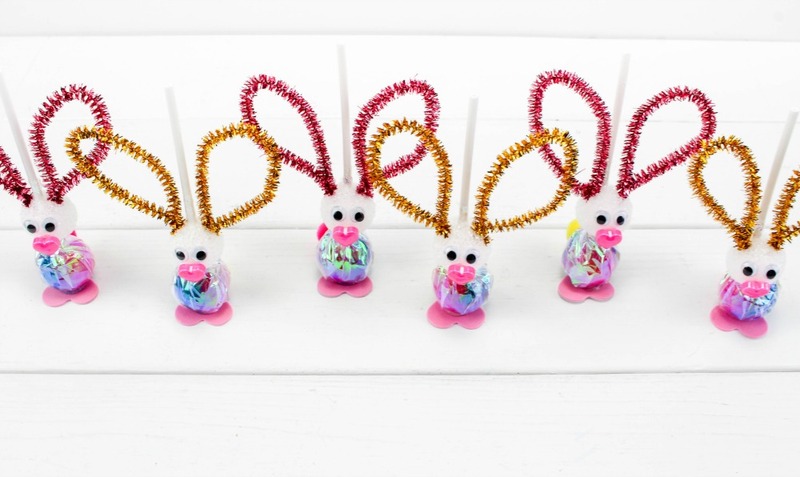 These cute little Easter Bunny Sucker crafts will be fun to make and eat for Easter! Previous Post: « Bondi Sands Tanning Foam Works Quick!